Prior to the Das Rheingold preview night at Minnesota Opera on Thursday, November 10, 2016, I had the great pleasure of sitting down with Minnesota Opera Resident Artist Jessica Hall, one of the two opera pianists for Minnesota Opera’s current production of Wagner’s Das Rheingold, the prologue in his epic four-opera Der Ring des Nibelungen (The Ring of the Nibelung), more commonly known as the Ring Cycle. 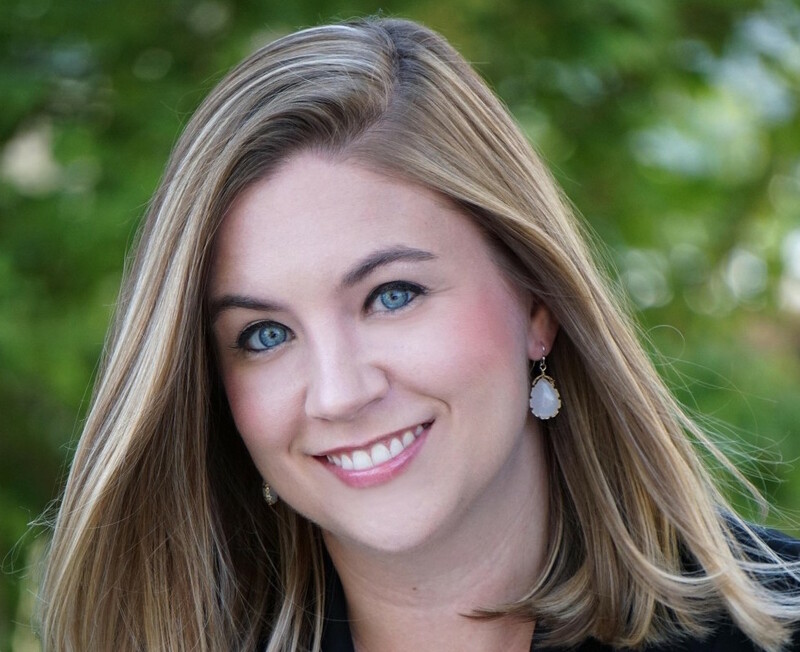 Jessica Hall is currently in her second season as a Minnesota Opera Resident Artist. 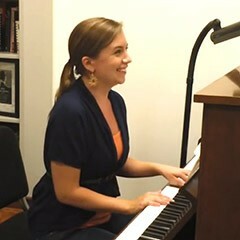 She obtained her Graduate Certificate, Master of Music, and Doctorate of Musical Arts degrees from the University of South California, and has worked with singers and conductors around the country. Hall has already been involved in over 35 operatic productions. Tell us a bit about yourself and your role in this production of Wagner’s Das Rheingold. I am one of two opera pianists in this production. I’m in the resident artist program, and the two of us are the pianists for the production, and all of the productions, actually. We have other coaches, but the two of us are the ones always in stagings, playing all the rehearsals, and sometimes playing in the orchestra as well. OK, so you both learn the opera and the piano part completely? Yes, everything. We even have to be able to sing and play. We have to be able to cue the singers because occasionally singers get sick and when that happens we need to fill in for them. We don’t sing well, of course! And we have to know the language – that’s a big thing. I was going to ask about that. Are you fluent in German? I’m not fluent, but I can pronounce the language, and I can converse in it a bit. That said, if you ask me how to pronounce a word, I know all the rules and how it’s supposed to sound. Is it the same for Italian? Yes; Italian, French, and German are the three standards. We did do a Czech opera last year [Rusalka], so we all had to brush up on our Czech as well! A lot of people who go to operas don’t know much about the rehearsal process, including the things that you as the pianist would be doing. How do you rehearse a soloist for an opera? Before we get into staging it depends on if we have guest artists and how many of the young artists are actually in the production. We have a start day for the first musical run-through and then we start staging, and that’s when the guest artists are on contract, and those are the singers who come in from out of town, the principal artists such as Greer Grimsley, and some of the bigger names. Our three Rhine maidens, however, are all Resident Artists, so we started rehearsing with them two/three weeks before the first musical rehearsal started. They all had their parts learned, but we had to coordinate ensemble-wise: how are we going to do these cutoffs? How long are you going to hold this note? What is the tempo going to be like? The fact that the orchestra is not in the pit and is actually on stage creates a whole other set of challenges to deal with and anticipate. Consequently, we have to coach singers, saying things like “we need you guys to think about this” or “you’re not going to be able to see maestro” because they’re right there and he’s behind them, and so they have to look into these monitors. Also, the strings in the beginning are very soft, so they [the Rhine maidens] can’t really hear very much, so as pianist coaches, we have to anticipate any type of potential issue that might come up and prepare them [singers] for it. How much do you meet with the maestro and other people in the production before you start rehearsing? We don’t usually meet unless we request it. This is Michael’s first time conducting this opera, so we were all very communicative. We asked him for tempi, and he did conduct one Rhine maidens rehearsal before the official start date just to give them a feel. But usually it’s up to the coaches to prepare and ask him any tempi questions that we have. You have to mimic an 80-some person orchestra from the piano. How do you do that? It takes a lot of practice and a lot of listening. Being in this program is fantastic because I get to play five production a season, so I’m constantly hearing the orchestra in rehearsals and taking notes. I’m getting the sound of so many different instruments in my ear. It just comes with time and experience I think. In the last couple years I’ve started to really understand how to do that on the piano. The gold theme [in Rheingold] is played by a trumpet, for instance, and I play that very different from how I play the strings in the beginning of the Rhine maidens scene. One of the other challenges of being an opera pianist is that the piano vocal score is a reduction, so we have a ton of errors in the Schirmer edition – which is the standard; there are things in there that aren’t even in the orchestra, so we really have to do a lot of score study, taking stuff out and adding stuff in. When you start meeting with singers, are they already off book? Do they know their parts? By the first musical rehearsal, when the guest artists come in, everyone is off book; they’re ready to start staging that night. Day one of music rehearsal is off book because usually we have three hours of music rehearsal and then that night we start staging, so you get in the day before and hit the ground running. How does being an opera pianist compare to chamber work or solo playing? Do you have a preference? It really depends on the pianist. I realized that I didn’t want to be a solo pianist just because I don’t have that personality and I don’t love being the center of attention. Chamber music I love, but I didn’t play a lot of it in grad school. I got my Master’s and Doctorate in collaborative piano, and I played for the opera department and I just loved it. It’s really difficult to make a career out of doing both. At this point in my career, opera is kind of my “thing.” I love it because there are so many different personalities involved and being a naturally more reserved person, I love being around people who are way outside the box. Are you working on Diana’s Garden right now? I probably will be in the next week, but we’ve got a reading of Dinner at Eight next week. We did a reading of it this spring and I was the pianist for that, so I’m brushing up on Dinner at Eight. After that’s over I’ll get into Diana’s Garden. What’s your favorite part of this opera? What part do you love rehearsing and get excited about? There are two things: one of my favorite parts of rehearsal was due to the fact that we had to have the piano in the middle of the room because of the staging, so the piano was right next to where the gods’ bridge is and where the gods are standing the whole time, so Greer Grimsley was often right next to me and he has so many great moments, and he was singing right in my face and it was absolutely incredible. The way that he delivers every line, and his diction, and his energy, and his character – it’s just incredible. Also the descent – playing the descent into Nibelheim is one of my favorite things to play because it’s so exciting. It’s such epic music – you’ll hear it when the brass come in.